The wait is over Boston Bruins fans, the NHL has finally released the list of players the Black and Gold will be protecting and exposing in the upcoming NHL Expansion Draft. The Bruins have opted to use the 7-3-1 protection format, allowing them to protect seven forwards, three defenseman, and one goaltender. No surprises or tough decisions to be made here, the Bruins made sure their top six forwards are safe. The Bruins weren’t going to risk losing players such as Marchand. Backes and Krejci had no movement clauses anyway. Ryan Spooner may not be the most talented of the Bruins forwards but he provides solid depth for their roster. Additionally, protecting Spooner allows the Bruins to use him as trade bait down the road. 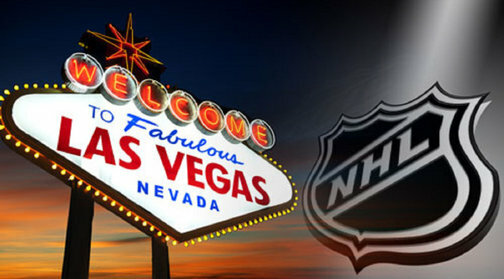 Matt Beleskey, Brian Ferlin, Jimmy Hayes, Alex Khokhlachev, Dominic Moore, Tyler Randell, Zac Rinaldo, Tim Schaller, and Drew Stafford will be exposed to the Las Vegas Golden Knights. Defense is where the Bruins protected list may cause some controversy. Zdeno Chara has a no movement clause and Torey Krug is far too talented to expose. What’s interesting however, is their decision to protect Kevan Miller over Collin Miller. Both Millers have flashed potential but both have shown inconsistency. Cassidy and Sweeney have opted to protect the slightly more developed and older Kevan Miller rather than the potential future starter Collin Miller. Linus Arnesson, Chris Casto, Tommy Cross, Alex Grant, John-Michael Liles, Adam McQuaid, Colin Miller, and Joe Morrow will be exposed to the Las Vegas Golden Knights. This was a no brainer. Tuukka Rask is the starting goaltender of the Boston Bruins and baring unforeseen circumstances, that doesn’t seem to be changing anytime soon. Anton Khudobin and Malcolm Subban will be exposed to the Las Vegas Golden Knights. Given the quality goaltending available to the Golden Knights, such as Marc Andre Fleurry of the Pittsburgh Penguins, it’s highly unlikely the Bruins lose either of their backup netminders.